Few would have believed it a decade or so ago, but 10 percent of the population actively participates in yoga today. And these nearly 40 million yogis have driven the popularity of athleisure wear to new heights. Still, they are only a part of the reason why several fitness clothing brands have excelled. From spin classes to everyday errands, to even business garb, athleisure wear is taking the fashion world by storm. And it looks as if there’s no end in sight. Led by companies like Lululemon Athletica Inc. and many smaller fitness clothing brands, athleisure wear can be found in many a closet. As a result, the athleisure wear industry is now approaching $300 billion in annual sales worldwide. But these fitness clothing brands are seeking to do more than just provide comfortable attire. They’re looking to create a new way of living with a focus on wellness and sustainability. 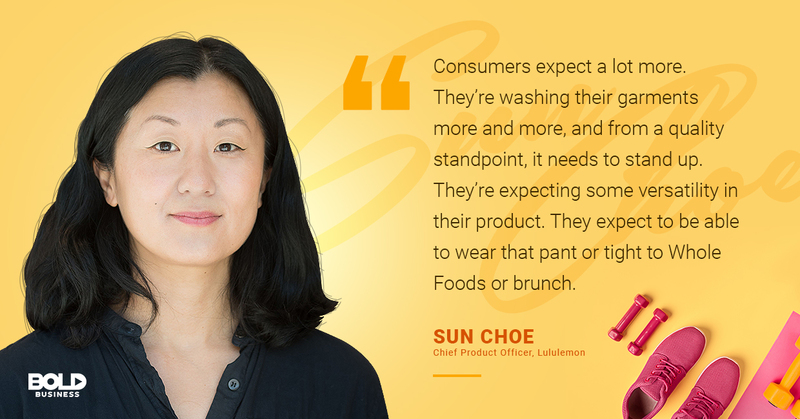 Sun Choe weighs in on what consumers expect of athleisure wear offered by fitness clothing brands. What Makes Athleisure Wear So Attractive? There’s no doubt that putting on your favorite pair of jeans still provides both a sense of charm and nostalgia. But increasingly, many of us are trading in our denim for the latest athleisure wear designs and styles. In fact, athleisure wear purchases exceeded jean sales for teens in 2014. And imports for yoga pants have now surpassed those for women’s jeans. Offering comfort, support and durability—in addition to a highly fashionable look—, athleisure wear continues to grow. The clothing materials used in athleisure wear offer advantages that other clothing styles simply cannot provide. In addition to standard materials like nylon, polyester, and Lycra, additional ones are now being explored. For example, some fitness clothing brands, like tasc Performance, now offer athleisure wear made of bamboo, which wicks away sweat and is antimicrobial. Others have included silver to reduce the potential for sweaty odor after a workout. And in every case, comfort, softness, stretchiness, and durability are enhanced. Combine these with a design that compliments one’s curves and physique; it’s easy to appreciate the popularity of athleisure wear. 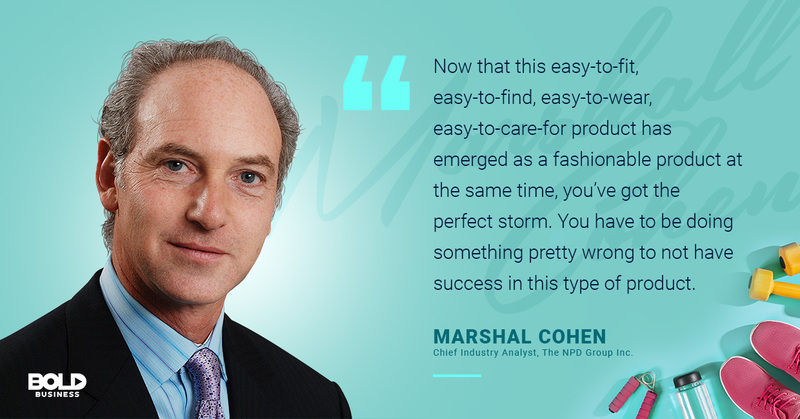 Marshal Cohen gives his two cents on the business of athleisure wear. The rise of the athleisure wear industry paralleled the success of a single company—Lululemon. In fact, many attribute today’s obsession with the new fitness style to this company alone. But nearly every major fashion company are actively pursuing their own athleisure wear lines. At the same time, dozens of smaller fitness clothing brands are successfully competing for consumer attention. From the basic to the extreme, these fitness clothing brands offer an array of athleisure wear for a range of individuals. 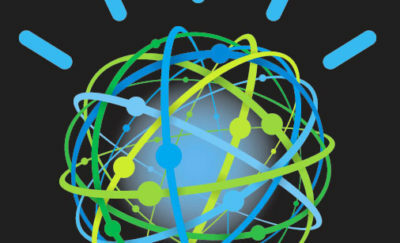 As the industry has matured, several changes have occurred. Lululemon, which began in 1998 in Vancouver, has now grown to $14 billion in value. Athleta, one of the more well-known fitness clothing brands, was bought by Gap. Adidas collaborated with Stella McCartney to design its athleisure wear lines. And in 2007, VF Corporation acquired Lucy Activewear—which has merged with its sister company, The North Face, in 2017—toward these pursuits as well. Even Nike is now actively advancing this line of clothing fashion as it realizes athleisure wear is here to stay. Nevertheless, the popularity of athleisure wear is not limited to the United States. It has become a global phenomenon. New Zealand brand House of Oom offers sportswear products ranging from rhythmic gymnastics and skating wear to dance footwear. Canadian-based fitness clothing brand Arc’teryx specializes in outdoor athleisure wear that is known to be made with innovations linked with skiing, climbing and alpine technologies. Also, small players are allowed in the athleisure wear industry as well. Companies like Wone, Onzie and Stronger are niche fitness clothing brands offering high-performance clothing. For example, Wone offers a $350 pair of yoga leggings that are exceptionally comfortable and guaranteed for 50,000 washes. And these smaller fitness clothing brands are excelling as well. Thus, despite the athleisure wear industry’s arrival nearly two decades ago, opportunities for innovation and growth continue to exist. 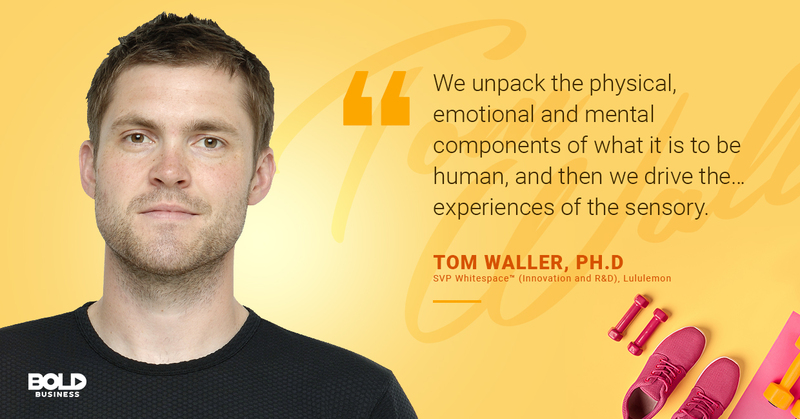 Tom Waller shares one of the things they hope to do in Lululemon. With any product today, an inherent value must meet specific needs in order to realize success in the marketplace. 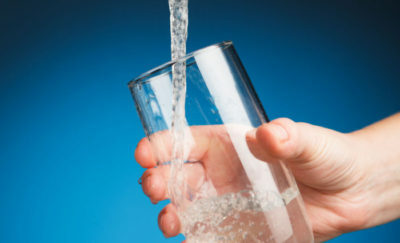 However, increasingly, consumers also appreciate companies that strive to make the world a better place in the process. Fitness clothing brands achieve this through athleisure wear in a rather organic way. The bottom line is that athleisure wear inherently infuses a sense of wellness in every person wearing the clothing. Comparing athleisure wear to yoga, merely wearing the clothing offers a sense of holistic well-being. Even for those not spinning or exercising, they experience positive emotional and mental energies by just slipping on some yoga tights. This sense of holistic wellness has driven people to choose athleisure wear in a variety of settings today, including the workplace. Whether visually aesthetic or driven by internal emotions, athleisure wear at its very core promotes a sense of social wellness. Of course, some companies take their social responsibility to an even higher level. For instance, niche athleisure wear company Reformation with its line “Girlfriend Collective” recycles its own plastic bottles to make yarn. Other fitness clothing brands utilize sustainable products like seaweed and bamboo in creating their athleisure wear designs. And the industry as a whole is weary of inhumane labor practices around the globe. The era in which athleisure wear is evolving may be impacting social awareness of these companies to a great extent. This socially responsible mindset appears more common among fitness clothing brands than it does in some other industries. 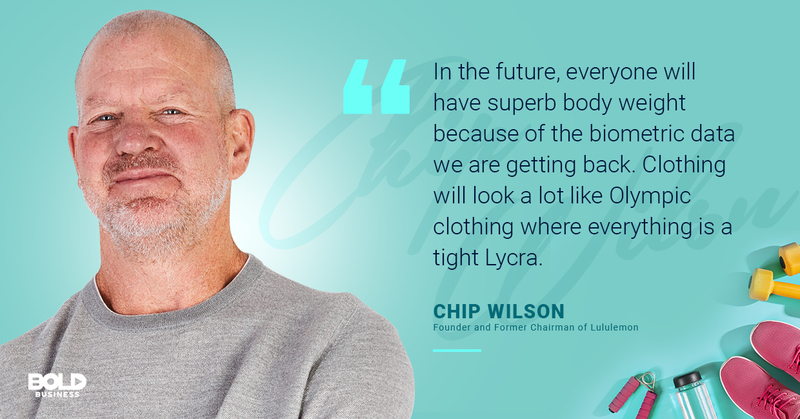 Chip Wilson gives his personal take on what clothing will look like in the future. The reason why so many fitness clothing brands continue to enter this industry is that its potential is still tremendous. Unlike other fashion trends, the athleisure wear industry has shown no signs of slowing down. In fact, growth continues to be in the double digits as new styles, designs and materials are introduced. But more importantly, social trends are changing. The presence of athleisure wear in the workplace is a notable shift in social mentality. And experts predict these changes still have a long way to go. Without question, athleisure wear is both practical and enjoyable. It offers a sense of well-being to those who wear it. But athleisure wear is also becoming increasingly fashionable for all types of occasions. Fitness clothing brands now have brick-and-mortar displays that rival any upscale clothing boutique. Also, many are introducing men’s athleisure wear lines, which will likely represent another major shift in social fashion to come. By all accounts, it would appear that athleisure wear is not only here to stay. It may actually be the foundation for fashion designs of the future. For more on Bold Business’ series on Mindfulness and Meditation, check out this story on the Headspace Meditation App and the Lost Art of Being Still.